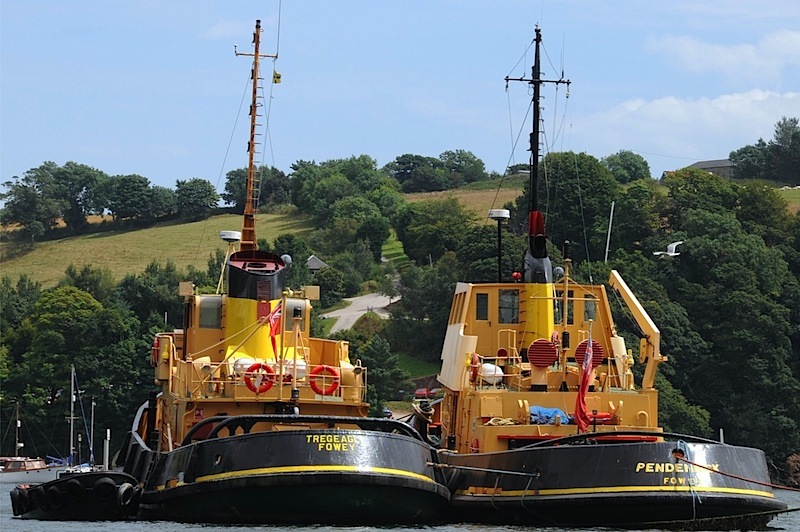 I visited Fowey for the first time today and the question I have to ask is why didn’t I do it before. Compared to it’s nearby neighbour, Looe, it’s chalk and chesse. Where Looe was a tacky and overcrowded Fowley, is a pleasant harbour with tasteful shops and many restaurants and pubs selling local fish. After walking the length of the main street I took the road train for a tour of the town. All the roads in Fowey are very steep, and there is no way I would have seen so much on foot – It was much better than expected and very good value at only �3. Next Lunch – and I choose what I initally though was just your standard Fish and Chip establishment. It is called “Food For Thought” and it is located right ob the edge of the Quay. Whilst it does have a Fish and Chips takeaway section – the main restaurant offers a far more exciting menu. 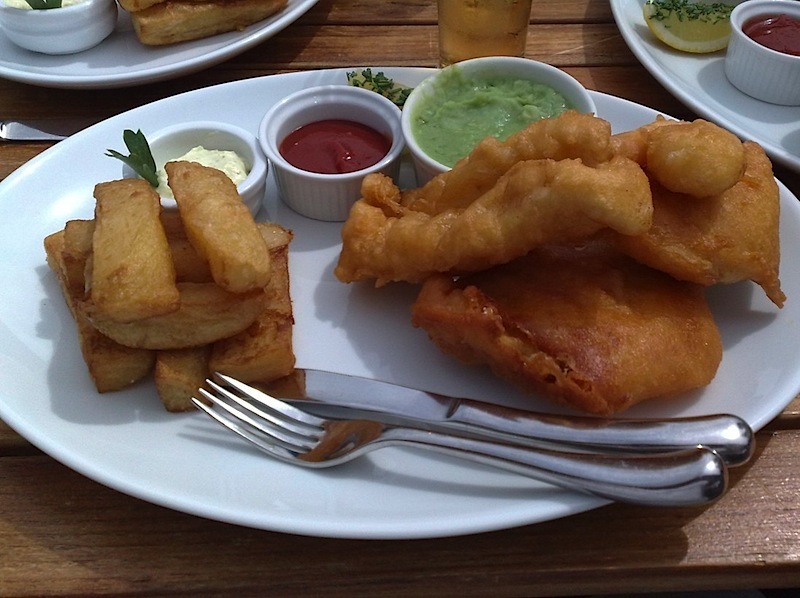 None-the-less, I chose the “Posh Fish and Chips” which you can see below – it consisted of Cod, Sea Bass, Sole and King Prawn and was delicious. Finally spent a pleasant 45 minutes on a boat trip up the river which was also excellent value at �6.